Explore why formulas work and make important math concepts more accessible. 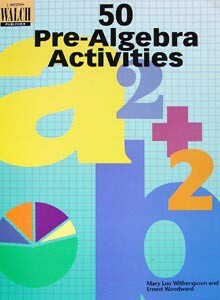 Engages students with 50 activities that cover variables, equations, patterns, and more. Includes objectives, teaching notes, and answers. Grade 6 - 9. From Walch Education.